Consulting firm McAleese & Associates has released a report on Navy Secretary Richard Spencer‘s speech at the Surface Navy Association’s Annual National Symposium. 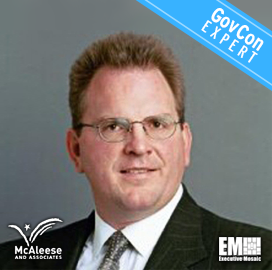 He noted that the service considers establishing a new assistant secretary of the Navy role for information management to advance cloud computing, cybersecurity, artificial intelligence and other technologies in response to China’s advanced persistent threats, Jim McAleese, founder and principal at McAleese & Associates and a 2019 Wash100 winner, wrote in the report. 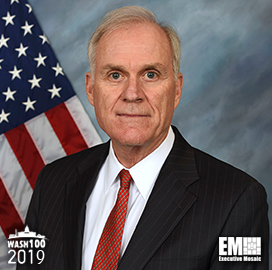 “One of the things that we are exploring right now, is how to put the focus and talent to address information management inside the Navy … cloud management…all the way through cybersecurity and data hygiene…Right now, that is what we are exploring,” Spencer said. He mentioned that the Navy has started to add personnel to its DDG-51 Arleigh Burke-class guided missile destroyers to address the “100-hour sailor workweek” and has begun to use a “performance-to-plan” tool to understand maintenance costs and the industrial flow. Spencer cited the Navy’s conversation with suppliers over “shared risks” and “shared returns” and the need for the service to invest its research, development, test and evaluation budget into “Force 2.0” capabilities, which include developmental platforms and weapons systems. He added that the Navy needs to address first the readiness of its ships, submarines and aircraft before drafting the future strategy, according to the report.